Low Top Suede Sneakers in INK BLUE. NEGRONI “n” emblem on the sides of the sneakers made from Coated Carbon Pre-Preg. Along the Heel Counter, Pull Tab, Collar, Tongue, down the Eyelet Tab to the the toe of the shoe, is Carbon Leather Trim. Smooth Silver Lining. Italian Black Rubber Sole which rides up the Heel for driving purposes. 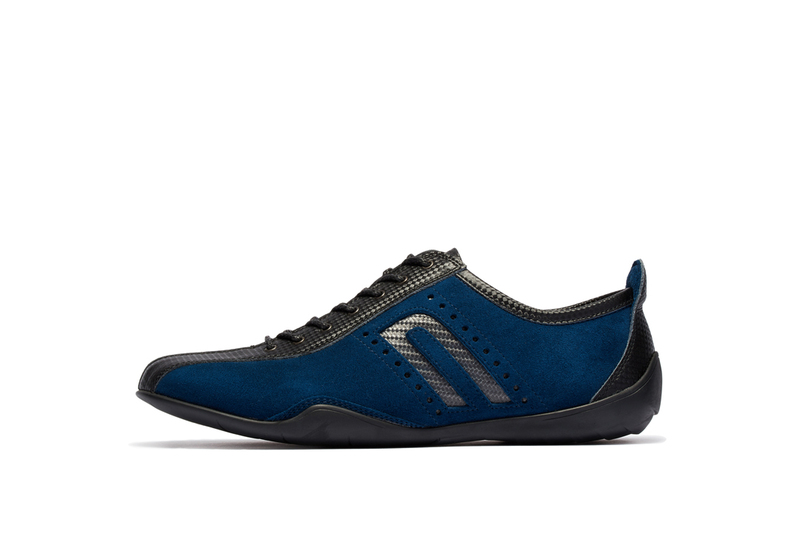 Unique to NEGRONI are the Bucket Insoles for heel support with 3 types of cushioning for maximum comfort while driving or walking. Made in Japan.